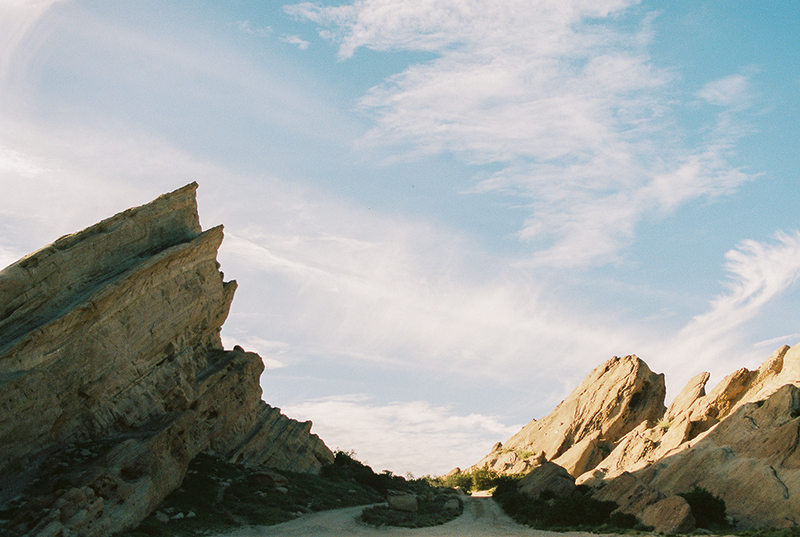 Packed our stuff and went out to Vasquez Rocks without having any set ideas in mind. 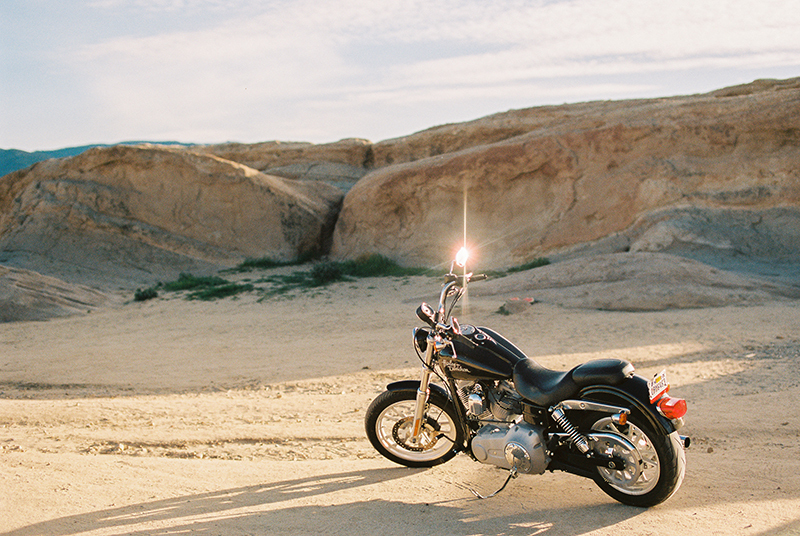 We used this motorcycle on a whim and just let the desert work its magic. 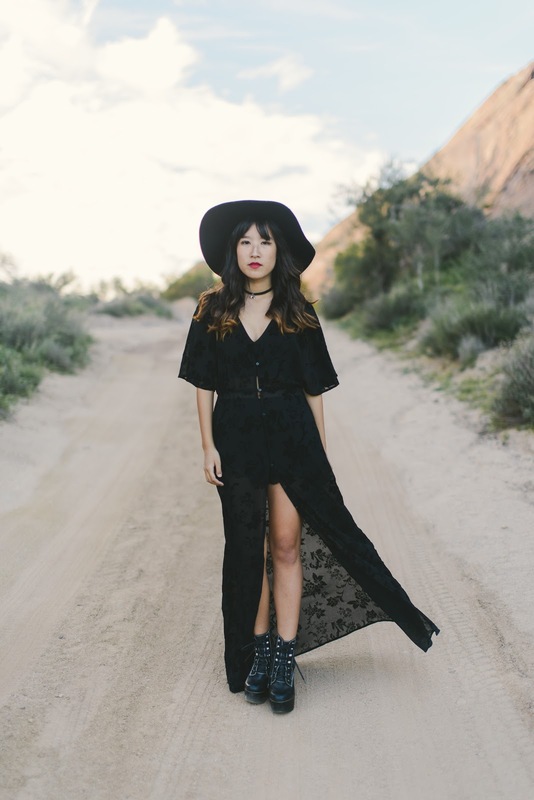 I went for witchy vibes and a flowy maxi that looked perfect against the desert backdrop. Gosh, these pictures are unreal! Absolutely beautiful. Love your maxi! very beautiful look honey, i love black!!! 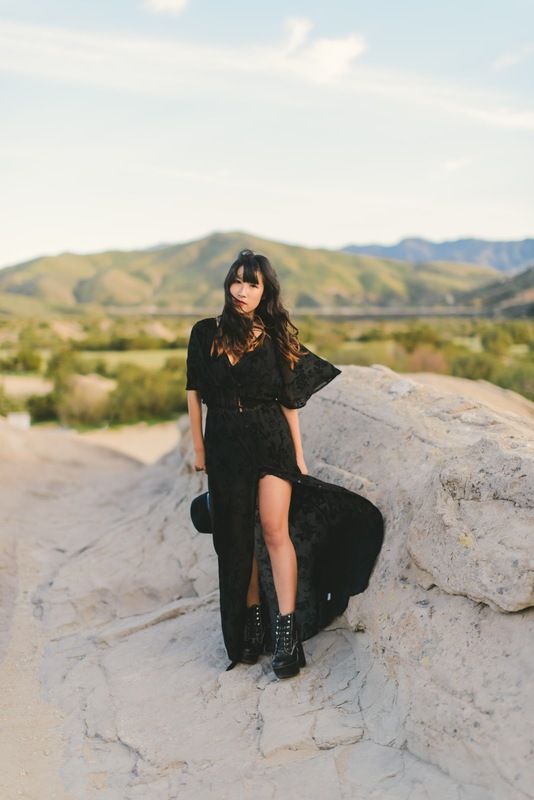 Love your dress and really great location! 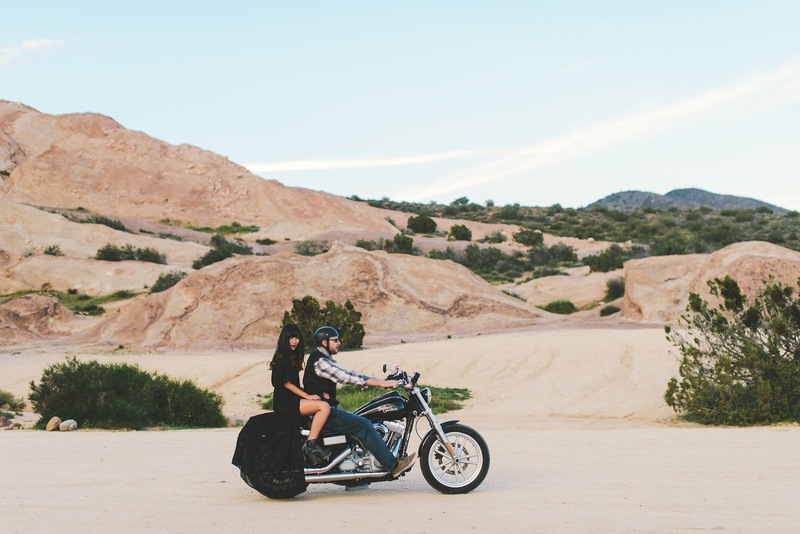 these motorcycle photos are so awesome! I love your dress! love how it flows! 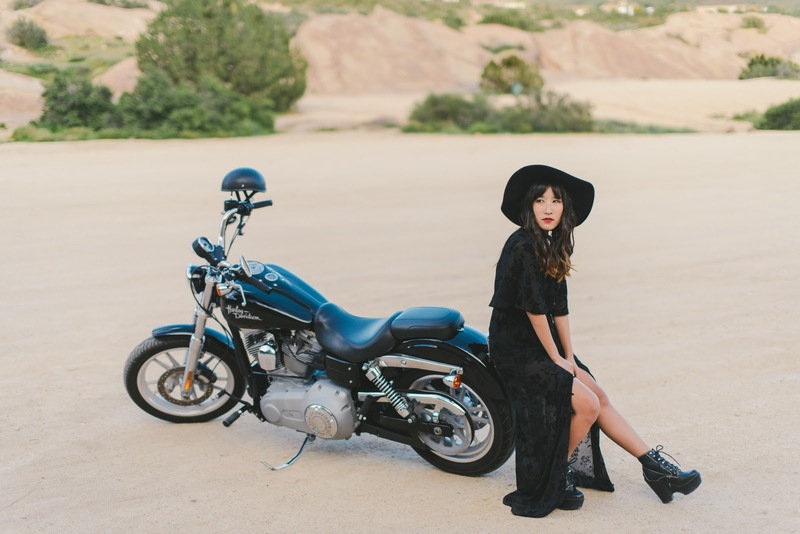 Gorgeous photos <3 You look beautiful and location looks so cool! Awesome pics and great look! !Kisses!